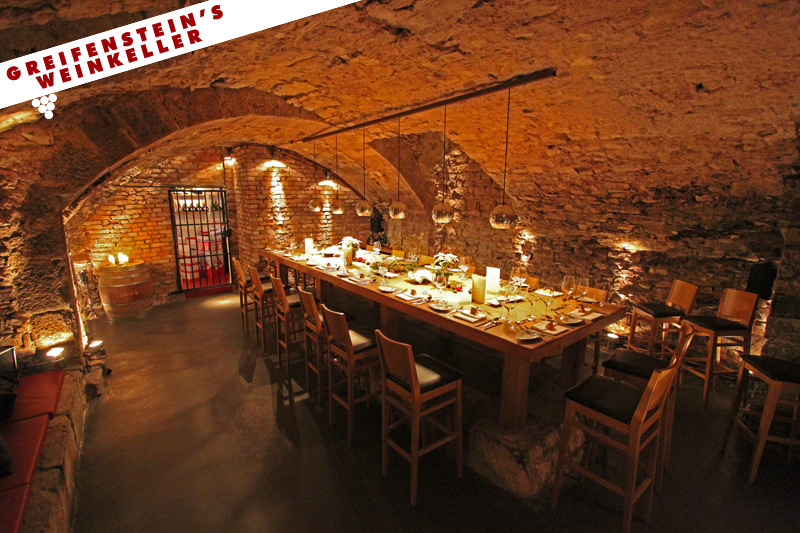 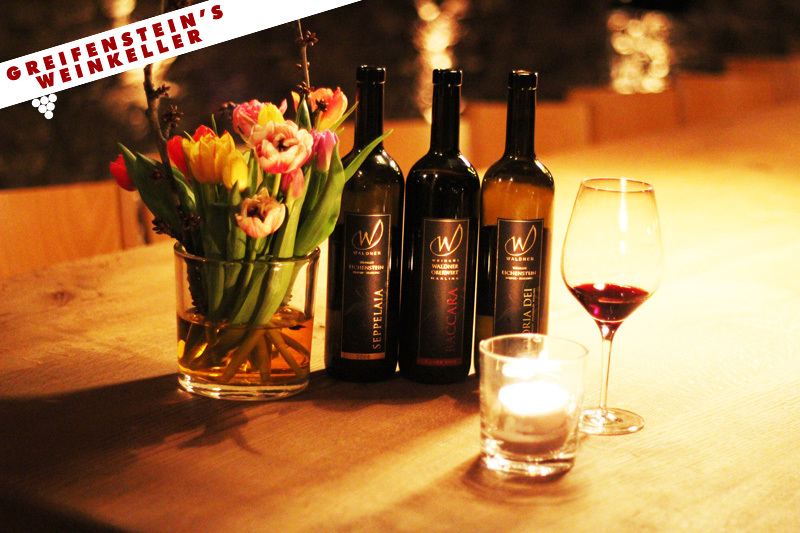 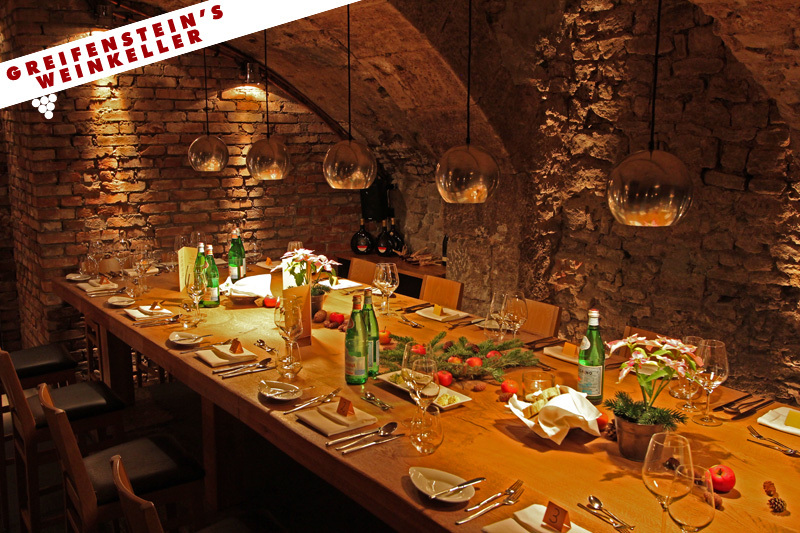 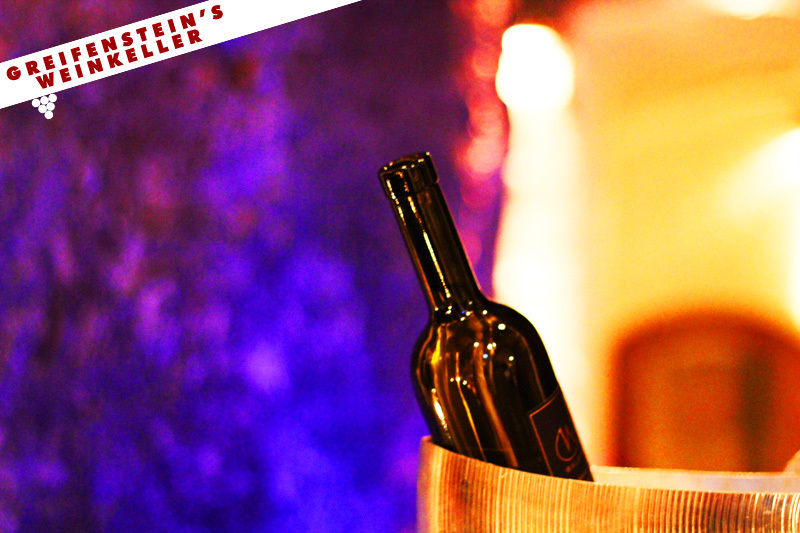 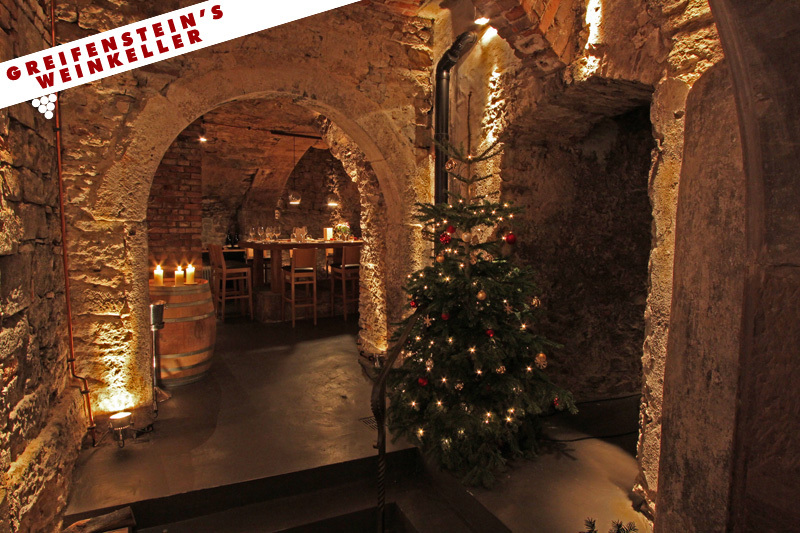 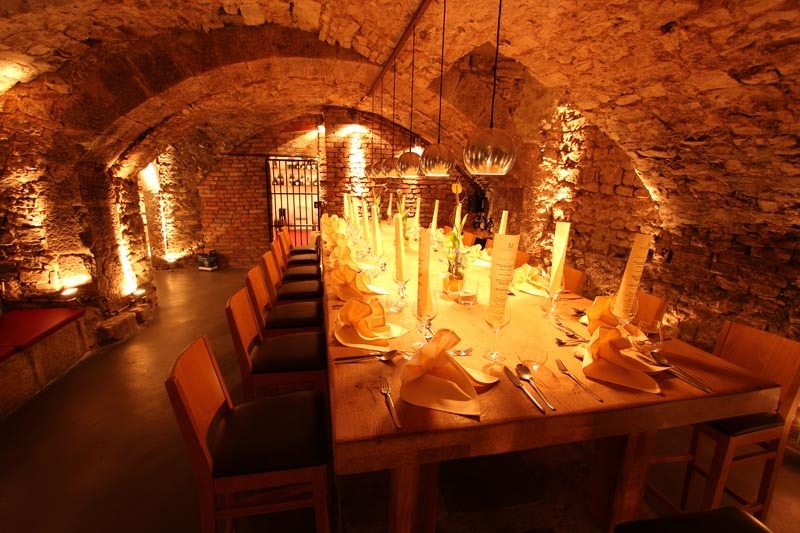 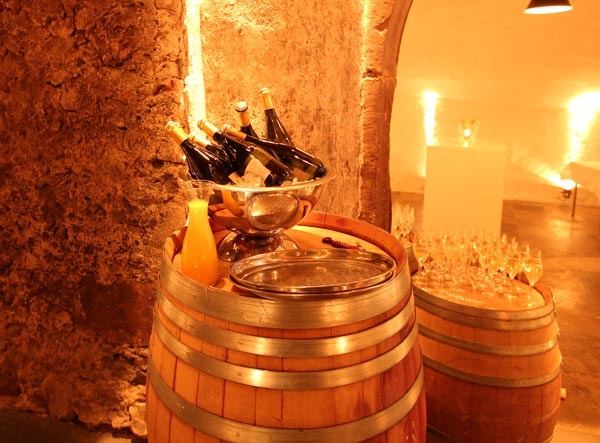 Greifenstein’s wine cellar dates back to the 13th century. 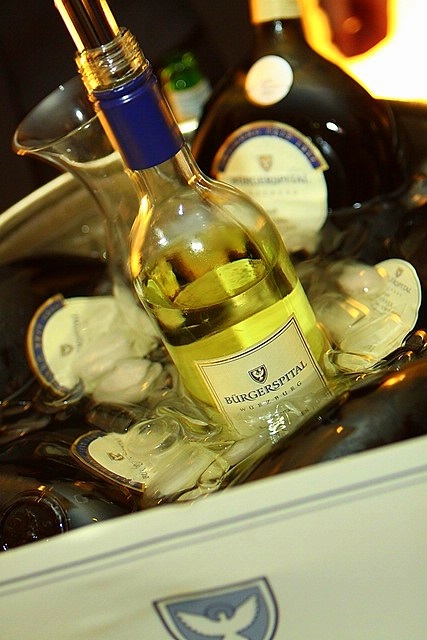 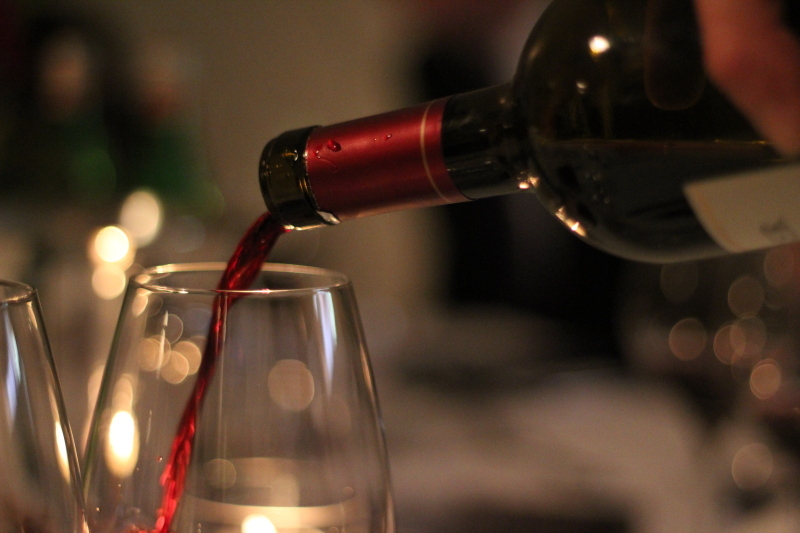 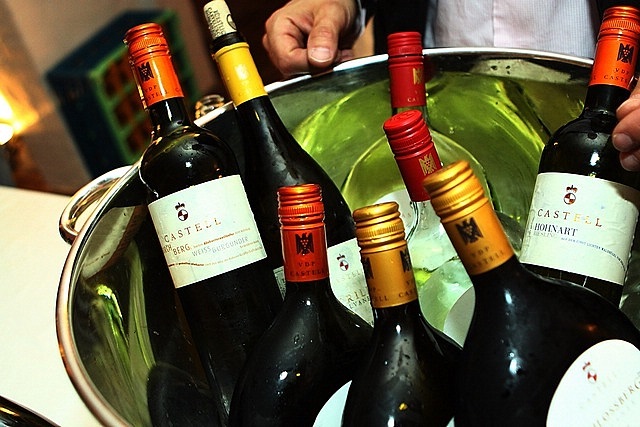 Hotel guests may enjoy a glass of wine in the wine bar area. 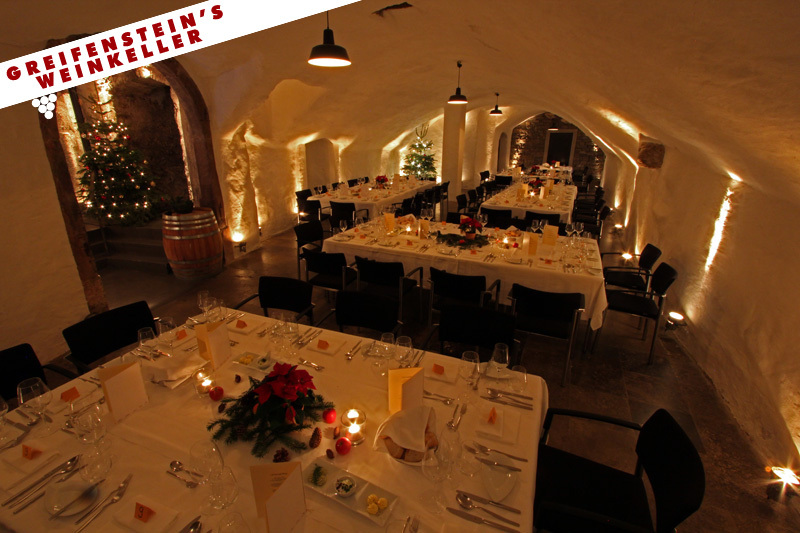 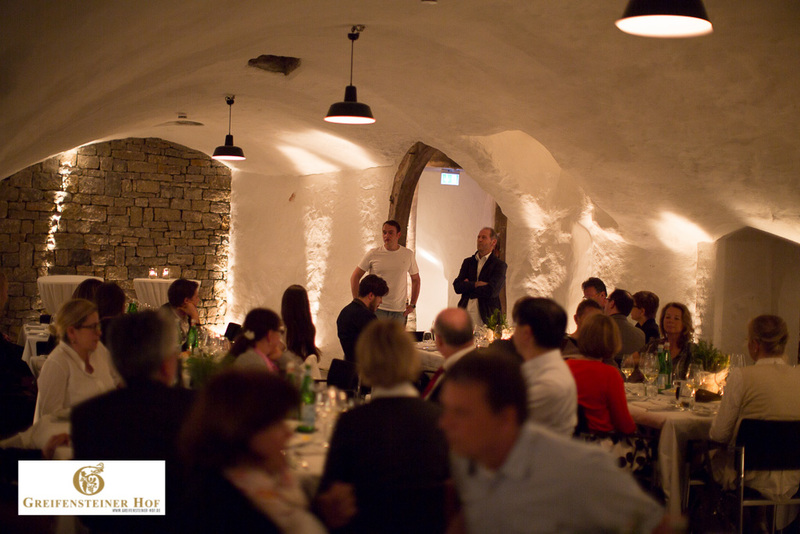 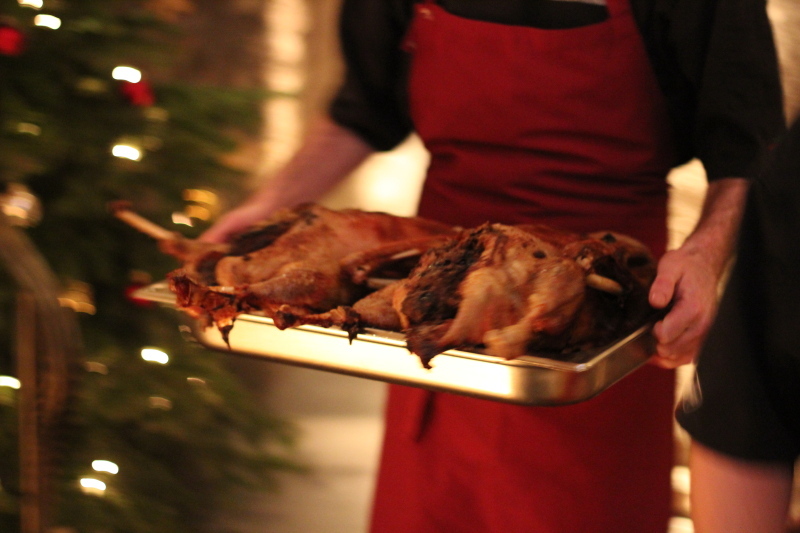 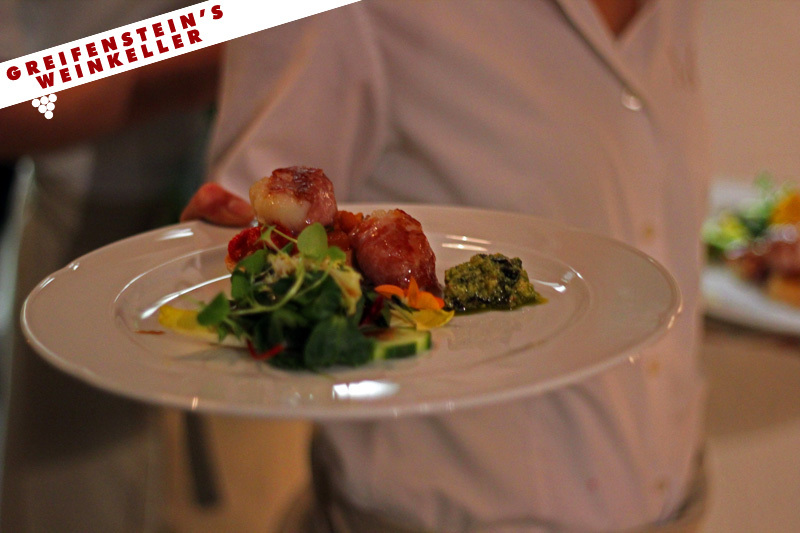 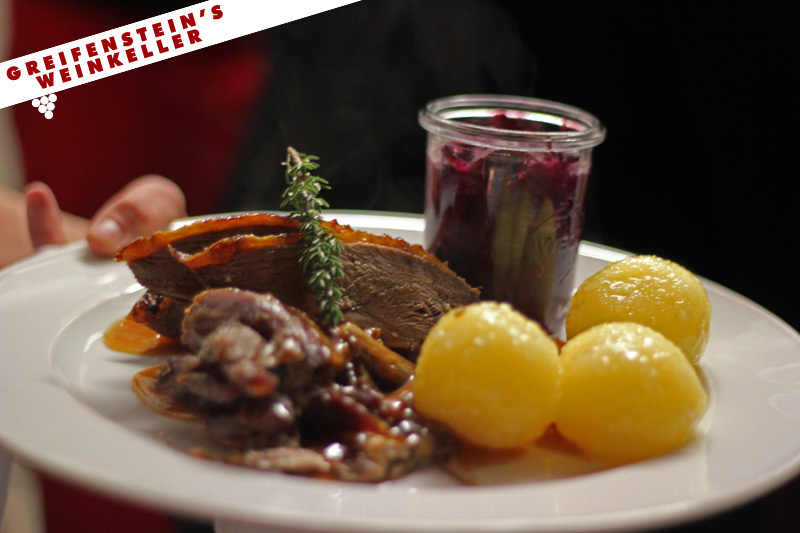 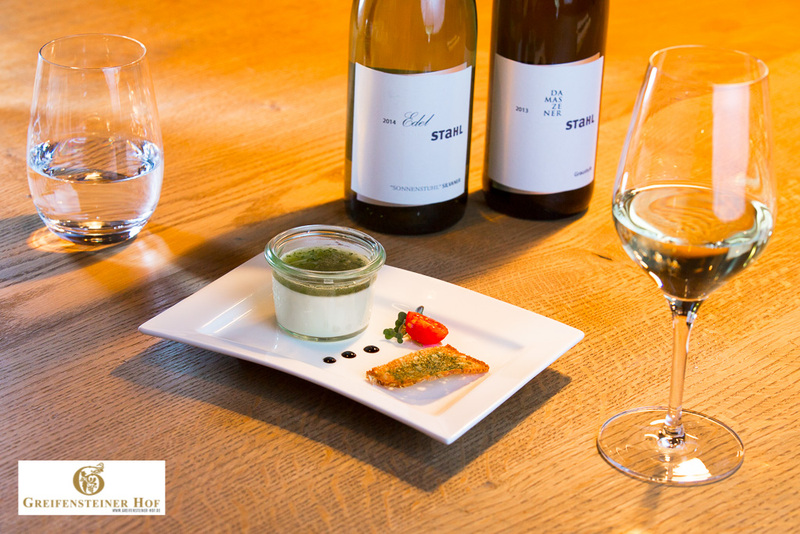 Parties of 10 persons and more can book an event with traditional regional franconian food or fine dining. 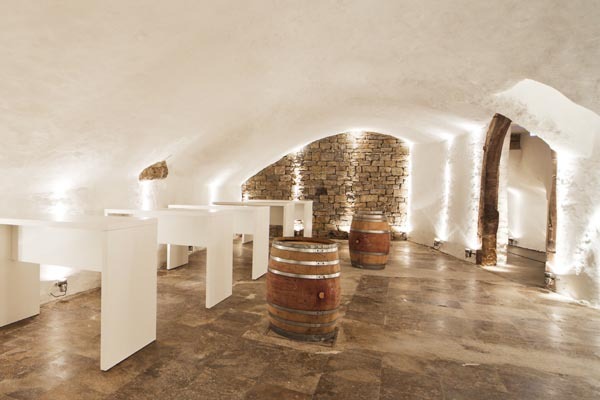 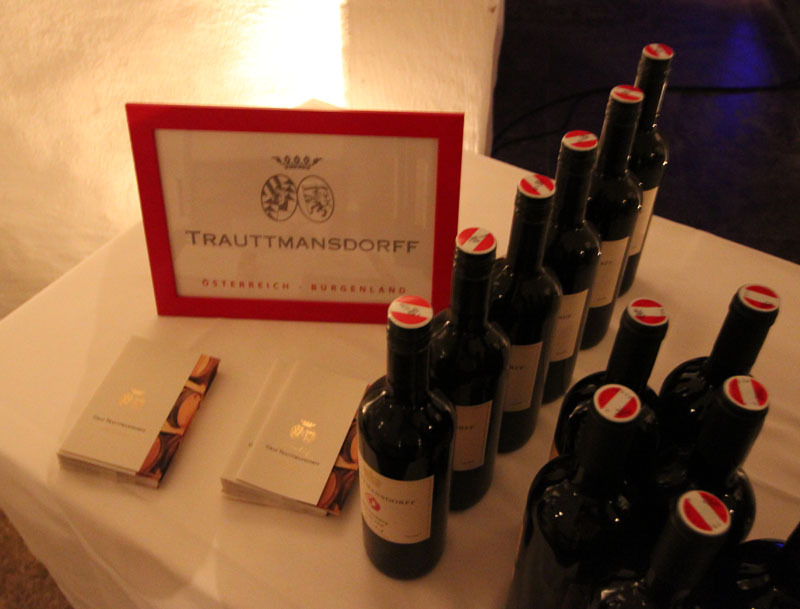 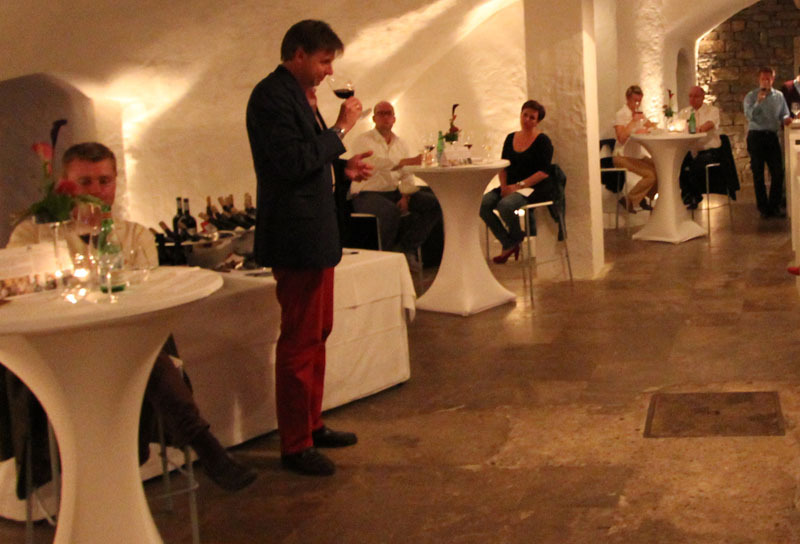 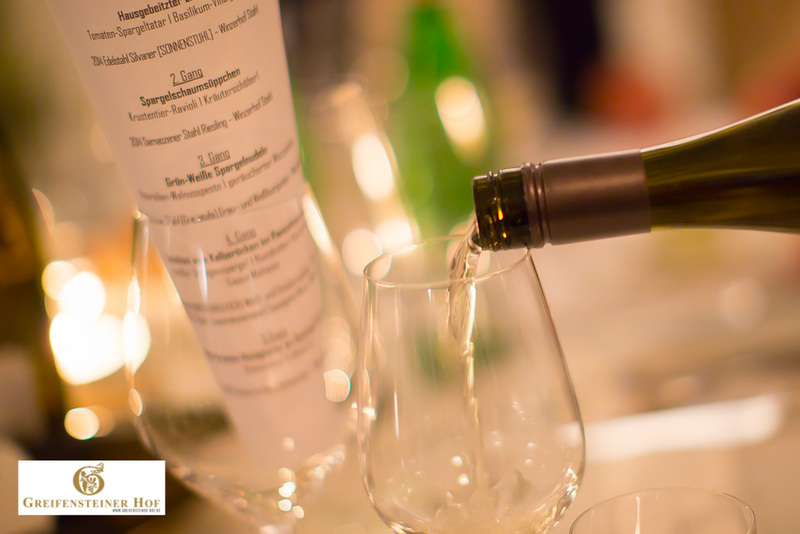 The trias limestone gives the wines of Würzburg their unique flavour and is also used for building impressing cellar vaults. 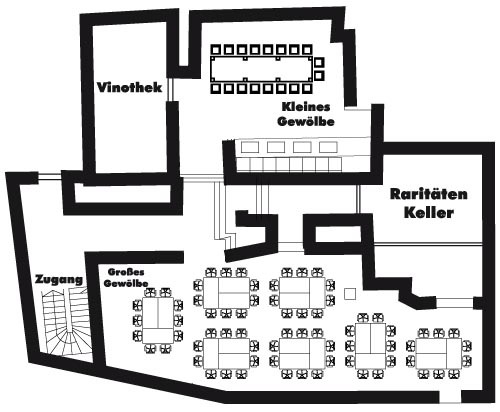 Additional building materials are ancient clay bricks, regional red sandstone as well as a floor made of special limestone that can be found around the village Winterhausen near Würzburg. 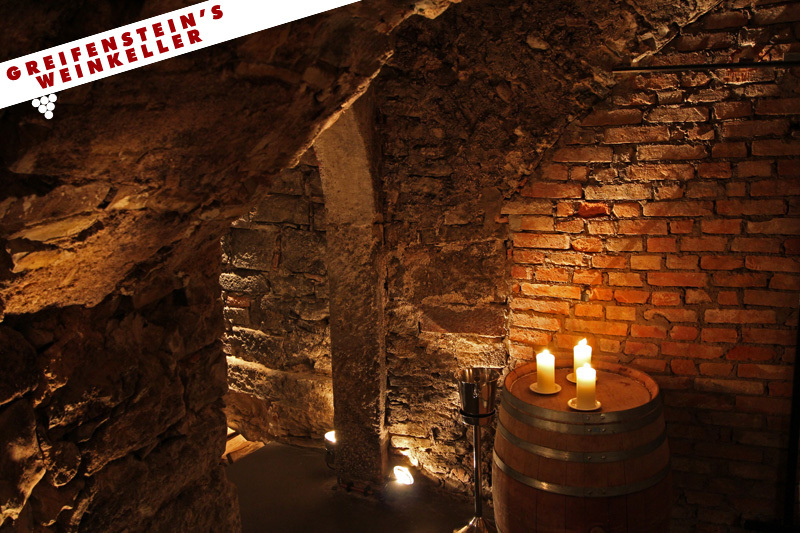 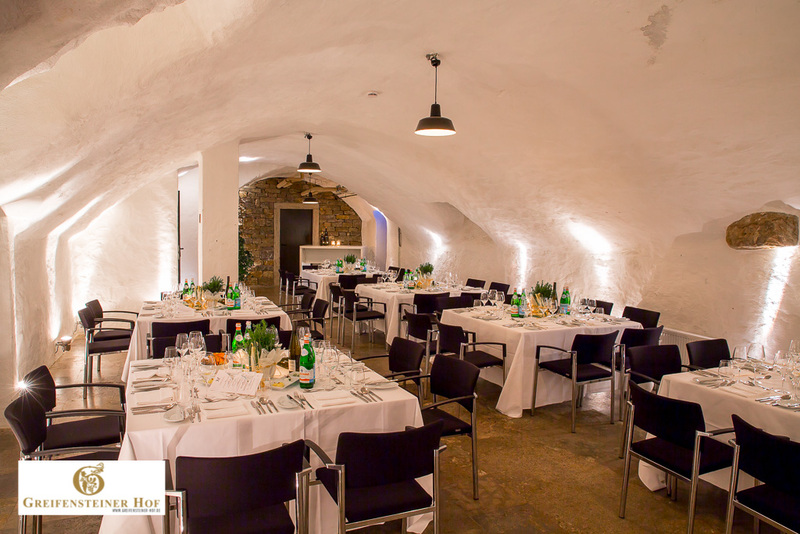 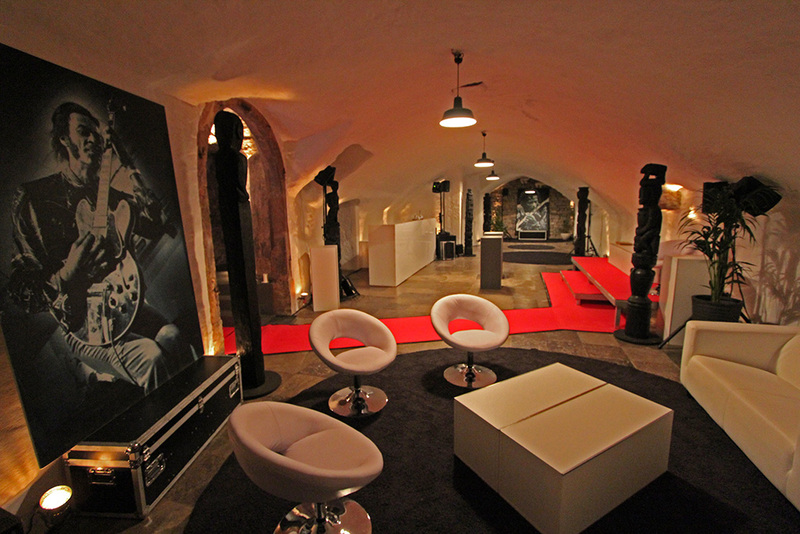 In the small cellar vault you sit at a pedestal formerly used for storing wooden oak barrels. 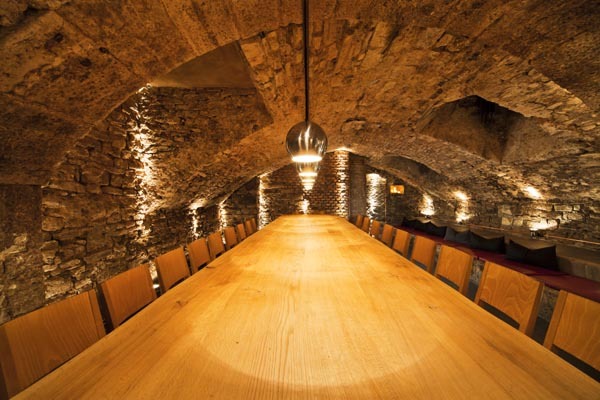 That’s because the cellar used to house a wine store some hundred years ago.